As a member of SkyTeam, Air Europa is committed to delivering the highest quality and safety standards to its passengers. 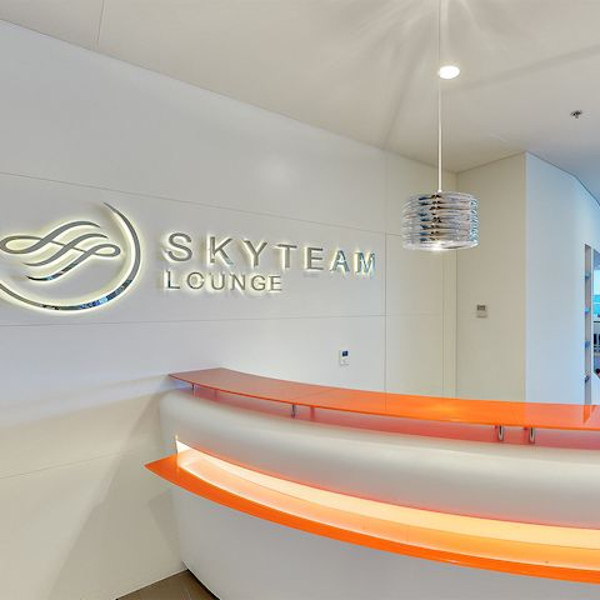 Enjoy a wide network of over 1,000 destinations, while relaxing in SkyTeam’s state-of-the-art lounges. 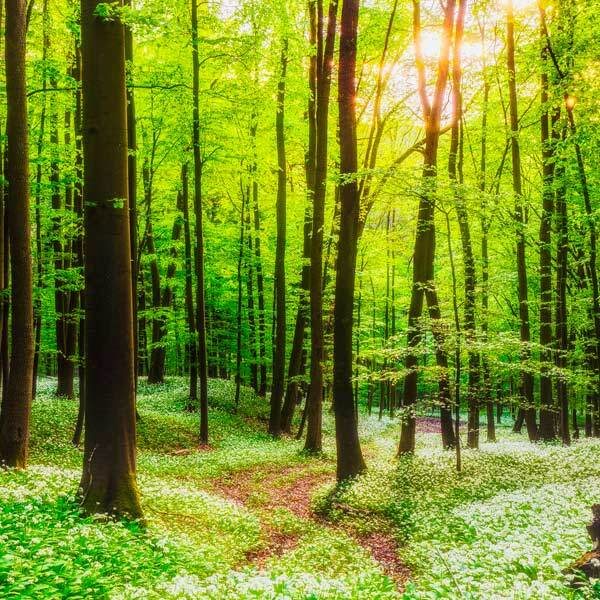 With its commitment to promoting social development, sustainable economic success and environment protection, Air Europa has measures in place to reduce its carbon footprint and honour the integrity of its customers. Book your ticket in advance and take advantage of discounted perks, like premium seat selection, extra baggage allowance and lower fares. Whether you’re travelling in Business or Economy, enjoy a seamless travel experience with Air Europa. Air Europa is part of the Globalia tourism group and a full member of the SkyTeam Alliance. Founded in 1986, it was the first private Spanish company to operate national scheduled flights. Since joining the SkyTeam Alliance in 2007, its codeshare agreements with 20 other airlines has enabled Air Europa to spread its wings and extend its route network to serve over 1,000 destinations. Headquartered in Mallorca, Air Europa travels to 27 cities within Spain alone! With one of the youngest fleets in the world, its 50 aircraft are made up of Airbus, Boeing and ATR planes. With its reward benefits, spacious cabins and dining menus designed by world-class chefs, it’s easy to see why millions of travellers choose to fly Air Europa. Book Air Europa flights to Barcelona, Buenos Aires, Cancun and other exciting places! Air Europa’s baggage policy varies greatly, depending on flight distance and destination. It is best to consult their website for a detailed breakdown of baggage allowances and fares. If you are travelling on the Lite fare, there is no checked baggage included in your ticket; those travelling in Economy Class are given 1 X 23kg bag to check in. Business Class passengers are given between 2-3 bags of checked luggage (each weighing 23kg) depending on the flight route. Infants under 2 years of age may check in 1 bag of 10kg. Extra luggage may be purchased, but please be aware that purchasing extra luggage at the airport is usually double the price than online. If you wish to travel with your pets, please consult the guideline set out by Air Europa. Short/ Medium Haul: Economy passengers may carry 1 X 10kg bag on board, while Business travellers may have 1 X 14kg hand luggage. Long Haul: Economy passengers may carry 1 X 10kg bag on board, while Business travellers may take 2 X 18kg hand luggage. Air Europa’s online check-in is available between 48 hours and 1 hour before flight departure. For flights to/from the U.S. and London, travellers can only check in 24 hours in advance. For those with the Air Europa app, you can also check in on your mobile device. Airport check-in counters open 2.5 hours before flight departure. Please note that passengers should check in no later than 60 minutes before departure for international flights, and 45 minutes before departure for domestic and European flights. Air Europa’s onboard experience will guarantee you a pleasant flight, whether you’re travelling between cities or on a longer flight. It is advisable to make your seat selection 48 hours before your flight to guarantee the lowest fares. Seat purchases during check-in and at the airport will incur heavier charges. Choose between Economy seats or XL seats. SkyTeam members and Silver, Gold and Platinum SUMA members can select their Economy seats at no charge; XL seats are free to Platinum members only. 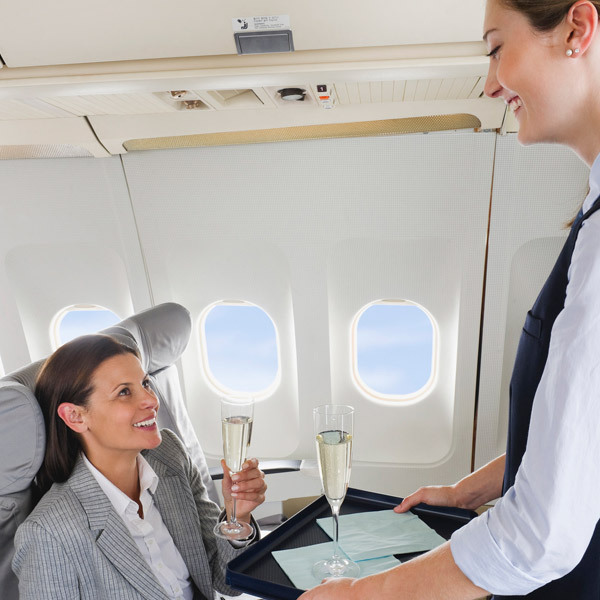 Air Europa’s complimentary inflight dining experience is available to Business Class and Economy Class travellers on transatlantic flights. For those travelling on European and Spanish flights, a selection of snacks, hot dishes and beverages are available for purchase. There is a range of international newspapers and magazines to keep you entertained, while passengers on long-haul journeys can enjoy a selection of movies, series and documentaries. If you’d like to connect to the Wi-Fi network, Air Europa has a package plan to suit you. All you need to do is sit back, relax, and enjoy your flight! With numerous flights to over 1,000 destinations around the world, it is easy to see why Air Europa is a top choice for flights around Europe, North America, the Caribbean, the Middle East, Asia and Oceania.